Looking for a different kind of food experience? Visit a food truck located near Westchester, NY today! These three trucks know how to do it right. Frites of NY calls themselves more than a food truck, instead calling themselves a fully-equipped mobile kitchen serving eclectic street fry cuisine. 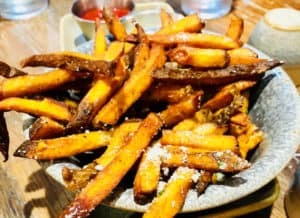 What are street fries, exactly? Essentially, they’re tasty fries with delicious stuff on top. You can’t go wrong there. A 2017 Reader’s Choice winner as Best Food Truck in the Hudson Valley in Hudson Valley Magazine, this truck serves every item on a bed of hot, golden French fries. There’s the Smash Burger, which is “sloppy” style ground beef, fried pickle chips, fresh diced tomato, and sauce. Or try The Greek, with grilled gyro, diced tomato and onion and creamy tzatziki sauce. Cater a party for you and your friends, and the Frites of NY truck will be brought to you! This food truck presented by Rogue Hospitality is designed to enhance any event, with captivating culinary experiences. It could be a wedding, private party, corporate event for your business, or birthday party. These are just a few examples, of course. From passed hors d’oeuvres to the late-night food truck options to dessert, this truck is truly unique. Late night snacks include the chicken wing bar, taco station and grilled cheese. You’ll find a variety of flavors from American to Cuban to Indian to Spanish, among others. There are also numerous dietary alternatives, if you’re gluten-free, paleo or vegan. See what this truck is up to next! Visit their website for more information today. SeaSide Sliders was founded by the owners of Mr. Frosty’s, branching out to create hand-crafted sliders and small bites. You can find the truck at weddings, birthday parties, festivals, private events and offices across Connecticut and New York. If you have an event you want catered, let them do the work while you enjoy the party atmosphere. They’ll set up, cook, serve, and clean up. Serving platters, tables, utensils, plates and napkins can be provided. Recipes are curated by Food Network Choppedchampion Chef Marc Anthony Bynum. From cheeseburger sliders to BBQ pulled pork sliders to dessert, there’s a lot to choose from. 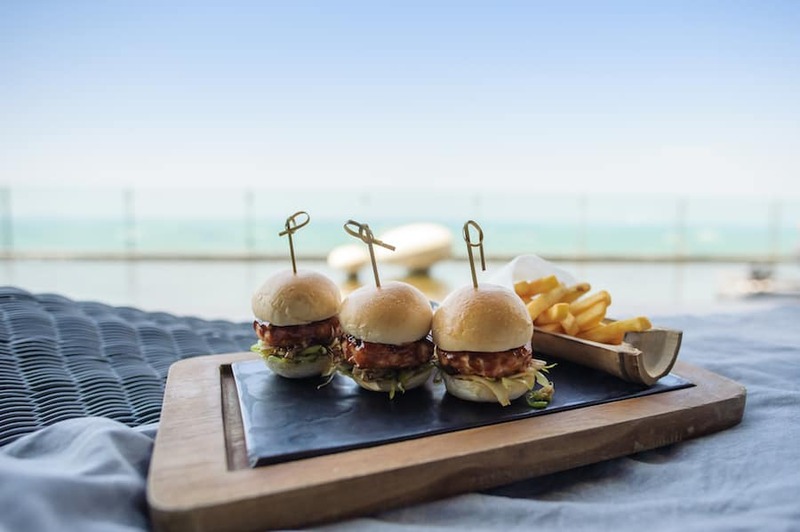 Check out the available packages and make any event special with SeaSide Sliders. We all need a break from cooking every now and then. Visit these great food trucks for a snack, meal or dessert!